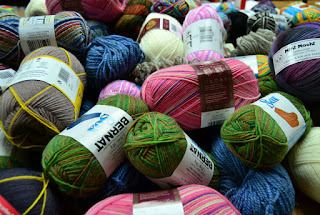 Yarn for life would likely do me in Heather! I haven't been around to check on your needlework for ages - and it's still as beautiful as ever. I love the colors of your quilt. Can't wait to see the finished project. Life slows down a little as the weather gets cooler, so hopefully I'll make more time for stitching and visiting blog friends. Thanks for the heads up about the contest. 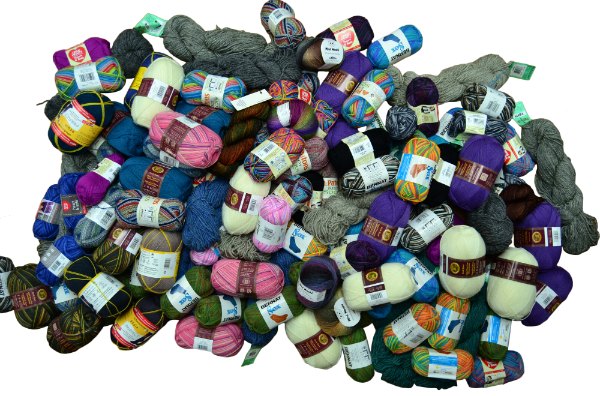 That's a whole lot of yarn. Can't wait to see your secret project!! I hope the remainder of the shopping season is kind to you and your fellow employees.